It’s time for a trend report, and if there’s one trend we haven’t missed for Spring, it’s brights & stripes. Whether you prefer a maximalist bold stripe pattern or a bright solid statement piece, SUZY’s got your back. Luckily for you, we’ve put together the best & the brightest styles of the season we have to offer. These styles will not go unnoticed. Welcome to the bright side. Throw some color on top of your ensemble to add some warmth on those colder days. Afterall, the last layer should always make the first impression. Go big and multicoloured. 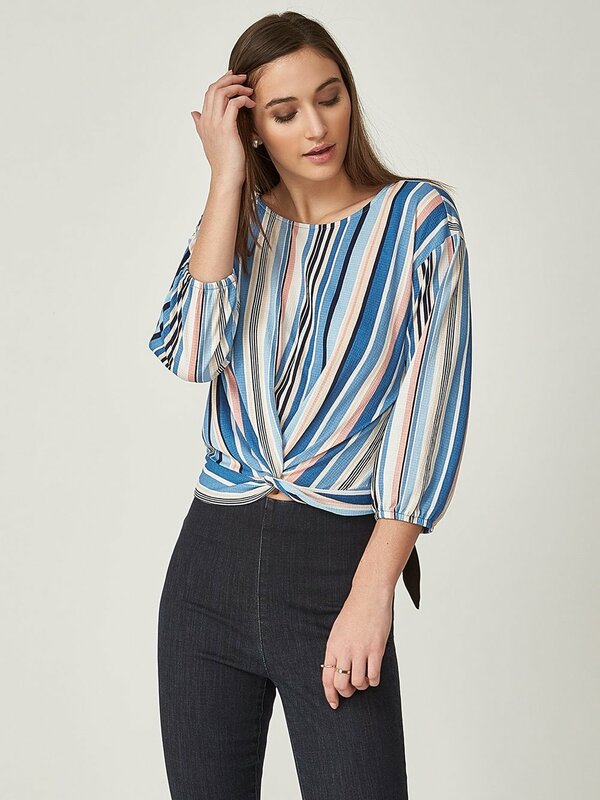 Incredibly flattering silhouettes and classic stripes reworked into a slimming modern print. There’s no easier way to get in line with this top trend. If you love being the center of attention, add a prominent dose of color to your outfit. Throw one of these pieces onto an all black outfit for the perfect pop or pair with denim for a playful vibe. If you’re easing into the trend, opt for a minimalist black pant and let your top do all the talking. A trendy style in a bold pattern is the perfect way to easily elevate any look. So, what are you waiting for? Share your looks on social and don’t forget to tag #SUZYSTYLE for a chance to be featured on the ‘gram.